It seems like just yesterday I spent all of grade 11 calculus playing that pre-loaded Snake game on my Nokia 3220. Today, we download these games as apps direct to our phones and mobile gaming is a $50b industry. Compared to 2017 global box office revenues of $40b, mobile gaming is bigger than Hollywood. Making up 42% of the $110b global gaming industry, mobile is the most lucrative and fastest growing gaming platform, exceeding both PC and Console revenue for the first time ever in 2017. Half of this revenue comes from Asia– mostly China, Japan, and Korea, with North America and Europe contributing $7b and $6b, respectively. Over 30% of all mobile apps are games– you have access to roughly 800,000 games in your pocket right now if you have an Apple or Android phone. The smartphone has truly led to the democratization of gameplay for consumers and distribution for creators, and everybody in this ecosystem wins. As mobile devices improve, people upgrade their hardware and enjoy better mobile experiences– bigger screens, faster rendering, higher resolution. Developers build more compelling apps on top of these device features, leading to better mobile gaming and entertainment. Better consumer experiences fuel continued hardware improvements to attract an even bigger audience– creating new opportunities for developers. If selling more devices isn’t enough of an incentive, consider this: 75% — 90% of both iOS App Store and Google Play revenue comes from mobile game transactions, and there are over 200m mobile gamers in the US alone. While diversification is coming, mobile games and the developers who build them, are the lifeblood of Apple and Google app stores. The biggest game publishers in the world, such as Nintendo, Sega, Sony, and Microsoft, have all brought their console classics to mobile, and mobile-first giants like Supercell and Rovio have grown to become multi billion dollar companies. Innovation is everywhere in mobile gaming– Netflix recently launched a Stranger Things game to promote the release of season 2, and the former co-founders of Vine released an uber-addictive live trivia game called HQ, that allows players to win real cash for answering questions. The scale and creative possibilities make mobile the most intriguing segment of the gaming industry today. Add in the fastest growing segment by revenue with the lowest barrier to entry… mobile is impossible to ignore for developers of any size. As a result, millions of individuals and small teams spend their time pursuing a passion to create games, hoping to find an audience that will enjoy the finished product– from their fingertips to yours. Developing a mobile game is much cheaper than developing for PC or console due to the greater simplicity of gameplay and because of game engines like Unity that can automate common build features. However, most games still cost anywhere between $50,000 to over $2 million, and the level of detail that goes into the perfect UX and touchscreen experience can be excruciating. Deciding the path(s) a game will take to make money is crucial. This is made more difficult as developers focus on maintaining an optimal, authentic, experience for players… Deciding between player experience and monetization doesn’t have to be a zero sum game, but balancing between both can be tricky. The numbers below each pillar represent the percentage of revenue that each of these categories contribute to the overall industry in aggregate. Note: These revenue streams are not mutually exclusive– for example, a popular strategy for many free-to-play games is to combine an ad & IAP strategy, funnelling players to see ads until they’ve spent enough money on IAPs. Let’s dive a bit deeper into each of these to identify the pros and cons, and where a major opportunity exists for game developers to drive more value for players. Paid is the game monetization model we’re often most familiar with from PC and Console days– simply paying a certain amount of money up front to own a game. However in mobile gaming, paid games make up just 4% of overall revenue. The predominant business model in mobile is Freemium– offering the game itself for free and monetizing players during gameplay via advertising or in-app purchases. Paid games are often referred to as Premium Games because of the upfront investment they command in a mostly free-to-play world. Making up 53% of the industry, in-game advertising has become a popular form of monetization for free-to-play games because it allows devs to maximize the number of players they can monetize at a time (ie., I can ensure that 90% of my monthly active users see an ad). Mobile ads can come in many forms, from banner ads to rewards based ads that actually help players in their game progress if they choose to watch a sponsored video. Ads are a really great and reliable way to monetize a mobile game– it’s basically because of this reliability, that we can get games for free. But despite recent innovations with rewards, ads don’t add much value to a game experience– as you might expect, they typically detract from it. Nonetheless, rewards based ads signal a shift toward a less intrusive and more engaging medium. The key to success in monetizing a free-to-play game has historically been to find the small segment of players who will spend money on digital in-app purchases. Digital in-app purchases (IAPs) refers to allowing players to buy digital items or additional functionality within the game– for example, spend 99 cents for an extra life or $3.99 for a bundle of 5 lives. Most games have a “store” prominently located during gameplay and will prompt players to spend a small amount of money to make their lives easier. IAPs make up 43%, or $22b, of the mobile gaming industry today. 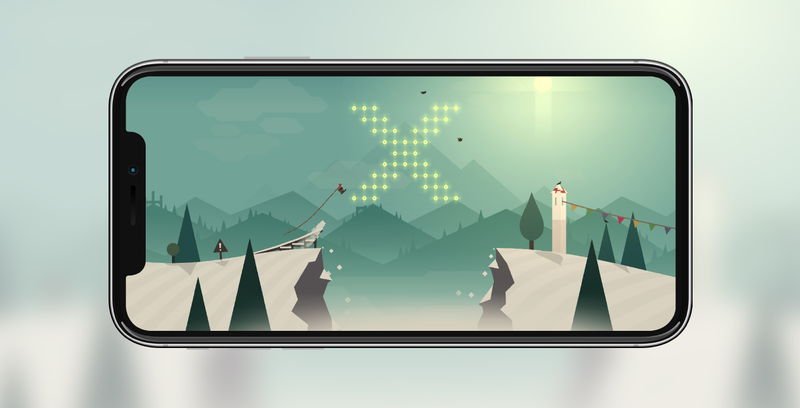 Looking at iPhone gamers in isolation, IAPs account for roughly 60% of revenue generated from iOS users. Mobile Gaming has a value-exchange problem. The standardization of ‘freemium’ has made willingness to buy games almost negligible– 4% of the market. Ads are lucrative and efficient, making up 53% of revenue, but they aren’t our first choice if we prioritize the gaming experience. Players are more likely to try a free game with ads, but this comes with retention and engagement risk that is still being perfected by some of the biggest publishers in the world. 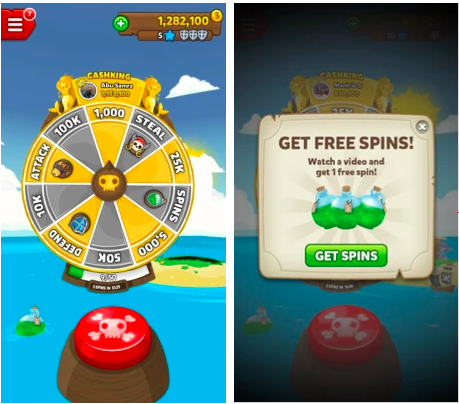 Mobile game developers operate in a world where players expect to have their game for free, but lose emotional connection when they see ads that help the developer make money for their work. We see parallels to this in the TV and Movie industry: you can pay for premium content on Netflix and see no ads, or you can watch free content on traditional TV/Youtube with ads. But you can’t access free content with no ads. In gaming, this leaves in-app purchases as the main mechanism for mutual value exchange– players buying additive game features at a set price. Making up 43% of revenue, this is the main way mobile game developers make money for adding value. However, only about 5% of players spend money on in-app purchases. Mobile gaming is an industry where $22b out of $50b comes from 5% of players. Mobile developers need to spend more time thinking about how to drive value for the other 95% of players. Now that we’ve done a deep dive and identified the problem, I’ll show you where a major opportunity exists in Part 2 next week… Follow this publication to give it a read when it’s out! To get a piece of a hint, have a look at Corey’s post on how Alto’s Adventure made 60% of it’s annual merch revenue in 30 days. Daniel Asper leads Gaming & VR/AR partnerships at Shopify, focused on helping developers bring their game worlds to the real world world through commerce. AR/VR and Gaming @ Shopify. Bringing digital worlds to real life through commerce experiences. Writing about the future of commerce in video games.